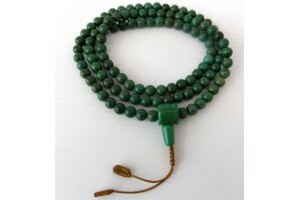 This is a large green turquoise mala with a large turquoise guru bead. 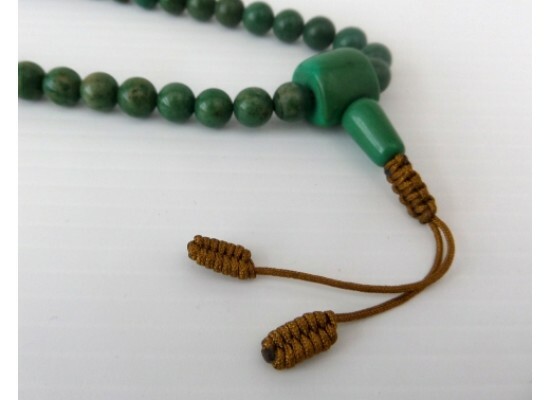 The beads are 8mm. 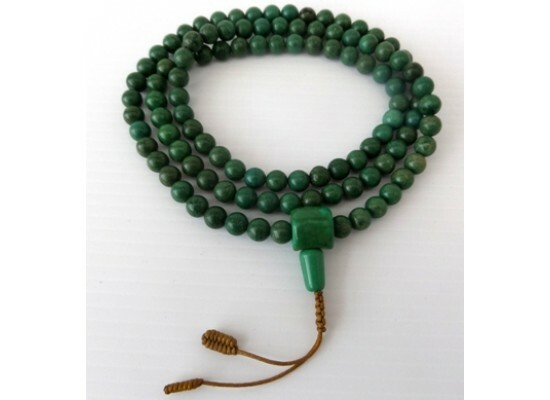 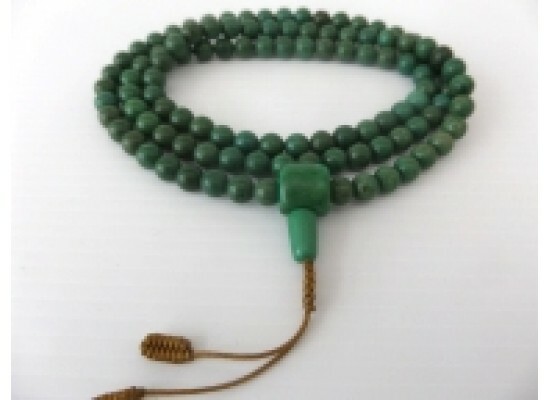 This is a real gemstone mala and not re-constituted Turquoise.